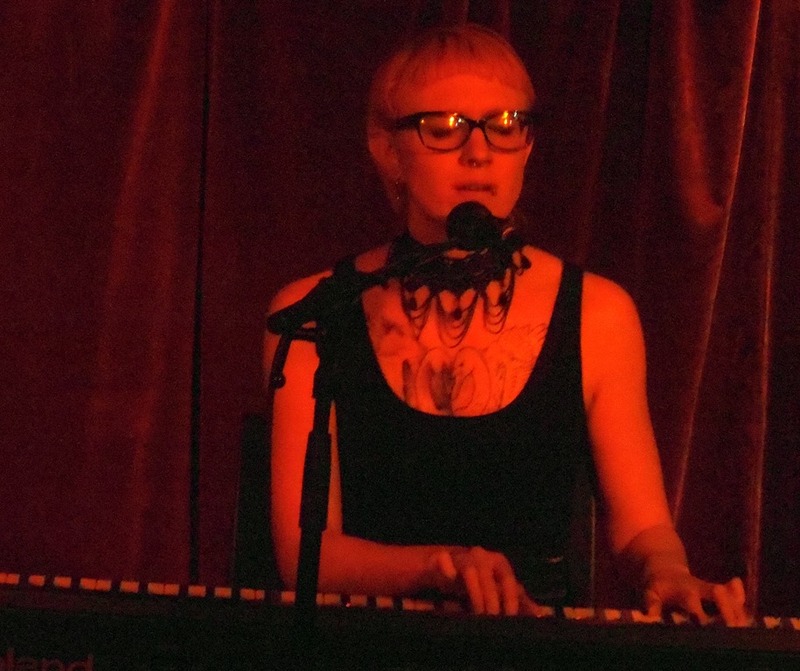 Indie Noir have been putting on curated nights catering to the tatses of people with a preference for indie from the darker side for around three years now, with eleven previous events in and around London and Brighton. This is the first event in the north, and coincidentally the first show in York for Mishkin Fitzgerald, whose operation it is. She’s already established something of a cult following with her band Birdeatsbaby, and is making progress toward the same as a solo artist, and tonight’s show represents the third night of a UK tour in support of her new EP. Mishkin is joined by local talents Flora Greysteel and Vesper Walk, and despite being up against the Wales v. Belgium match in Euro 2016, and all of the other goings on (and drunken lunacy that is commonplace in York on a Friday night), it’s a respectable turnout. I happened to have ‘discovered’ Flora Greysteel less than a week ago, appearing on the same bill at an anti-fracking open mic event. I’m not sur if they were taken with my performance of a brace of ‘Rage Monologues’, or if they were even in the room at the time, but I enjoyed their set. Off the back of that stripped-down set, the bearfooted minimalist duo have spent the week tweaking their songs, and the results are a compelling set. 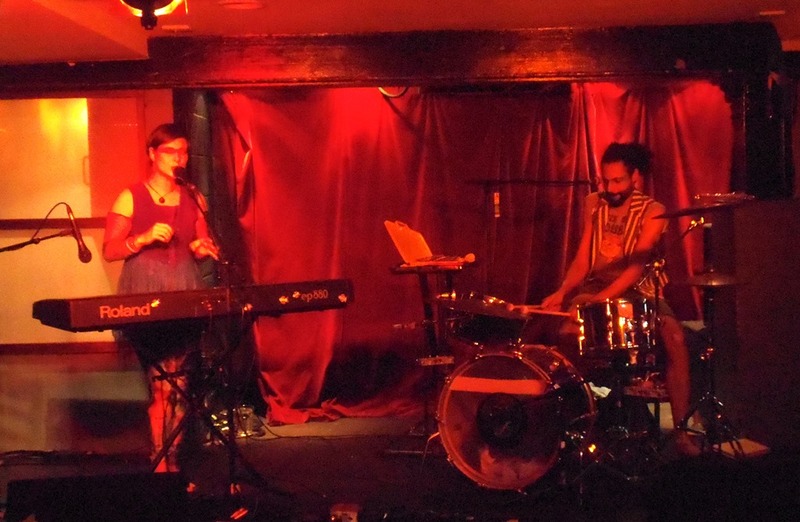 Simon Bolley’s taut, restrained drumming is admirable, while Emily Rowan uses voice and a range of obscure or otherwise unconventional instruments to conjure. Haunting melodies. The pair seem rather disorganised on the surface, but musically, they’re tight and display an idiosyncratic charm. Mishkin Fitzgerald may be slight in build and quirky, even vaguely nerdy in appearance, but her piano-led ballads are rich in emotion and heavy with personal meaning. Her all-too-short set features three tracks (I think!) from her new solo EP, the last being title track, ‘Seraphim’. Touching. Alongside a number of track culled from her 2013 solo debut Present Company, including ‘Hanging Tree’, she covers ‘Help Yourself’ by lesser-known bluegrass country goth act The Devil Makes Three. Without the bombast and theatrics of her band’s material, the songs are stripped back and simple, and in this setting it’s apparent she’s an adept pianist. ‘Sugarknife’ brings a dramatic change of tone and tempo as she ditched the piano and belts her vocals out against a full prerecorded backing. It isn’t strictly heavy metal, but is a bold chunk of operatic rock and powerful at that. Closer ‘Stitches’ is a rich, brooding work leaves an ache hanging in the air long after it’s ended. Vesper Walk are many in number and fancily-dressed. In fact, most of the oddballs I’ve seen floating around the venue are suddenly on stage. Glitter, kohl, cat ear headbands, crazy eyebrows and more theatre than the Apollo. 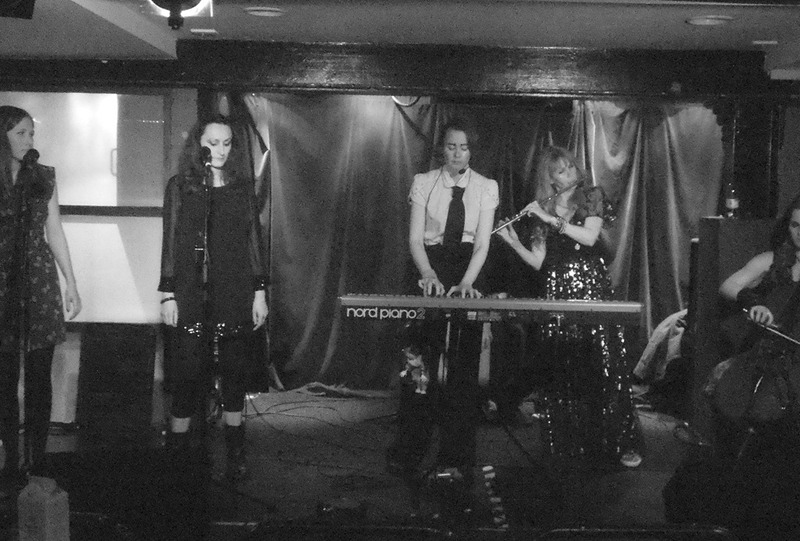 The six-piece vocal collective with piano, cello, cajón and occasional flute, are accomplished in their harmonies. Extremely accomplished, in fact. As one may expect from an act who are well accustomed to performing in theatres and have featured at the Edinburgh Festival, they’re high on drama and theatricality, both in terms of performance and presentation, and the music itself. It’s hard not to be impressed by their composure, the way they command the audience’s attention, and they really do know how to entertain, providing a splendid finale to an enjoyable and appropriately offbeat musical evening.